I have an Alopecia update video here for you guys! Can you believe it’s been a year and half since the Alopecia first started?! It feels like so long ago and also no time at all. I remember how terrifying it all was when it was happening. It fell out for 5 months straight and I lost 70% of the hair on my head. The scariest part was the unknown. I had no idea if my hair would stop falling out or if I would ever have hair on my head again. Now 1.5 years later almost all of it has grown back in and still continues to grow in every day. 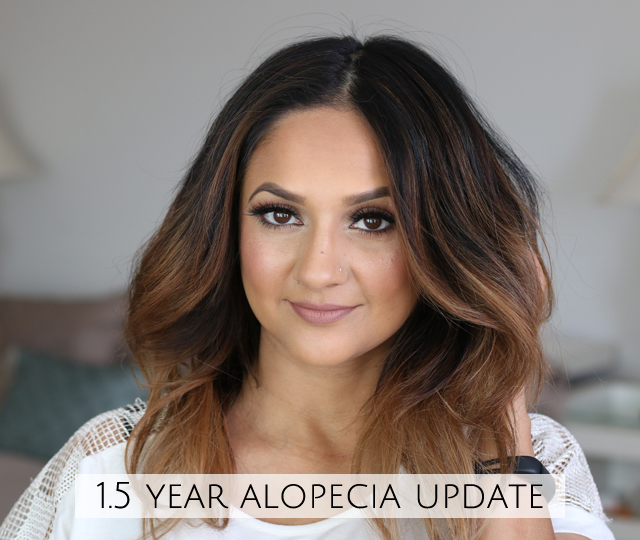 I share my story on what I’ve done and where I’m at now in this journey with Alopecia areata in today’s video. Let me know if you have any requests for videos!